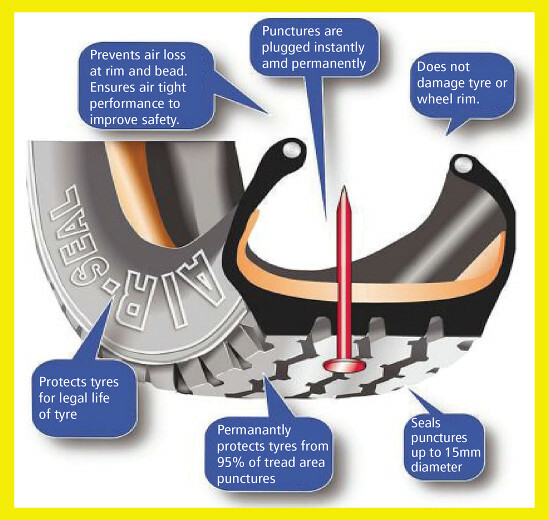 It happens so fast that drivers are unaware of the occurrence of a puncture. The turning of the wheels will allow product to cover the damage, therefore internal pressure will assist in forming the plug. Please be aware: There are very few valves, but there are some, that do not have a “through” bore. Before ordering, check by removing valve core, and check that a rigid straw (spray can) will pass through the valve. There are some valves that have a backing plate to restrict access.